LINEA Germania's new collection, Daydreaming in Present, has officially launched and is available for purchase on our online shoppe and at select stockists worldwide. To view more photos from our look book, head to our gallery and follow us on Instagram. We're excited to share with you our scarf-making process with a look behind the scenes of the making of our new collection, Daydreaming in Present. Each scarf in this collection is hand-crafted and screen-printed by Nepali artisans and made of ethically sourced materials. You can shop the new collection here. Q&A with Mengly Hernandez Creative Collective Col-Lab member. 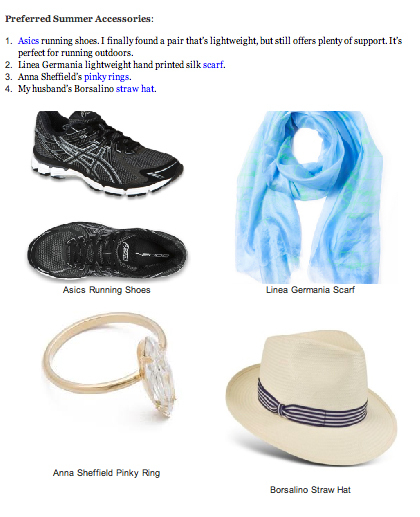 Creative director Talya Cousins choose Linea Germania scarf as one of her preferred summer accessories.